Cuphead is the latest hit indie game to make its way to Nintendo’s Switch — and it’s bringing Xbox Live with it, piggyback-style. While Microsoft has put forth tentative plans to bring Live to Switch, iOS, and Android, Cuphead will be the first actual game to carry it over, meaning we’ll finally see how well this crossover works. Microsoft teased plans to bring Xbox Live to Switch and mobile last month in its schedule for the Game Developers Conference. According to an Xbox Wire update, it’ll be working with Cuphead developers StudioMDHR to bring the Live features to the game’s Switch players, though it didn’t specify exactly which features those were. While there’s no evidence (yet) that Xbox Live is coming to the Switch by itself, it could very well piggyback onto other games in future. 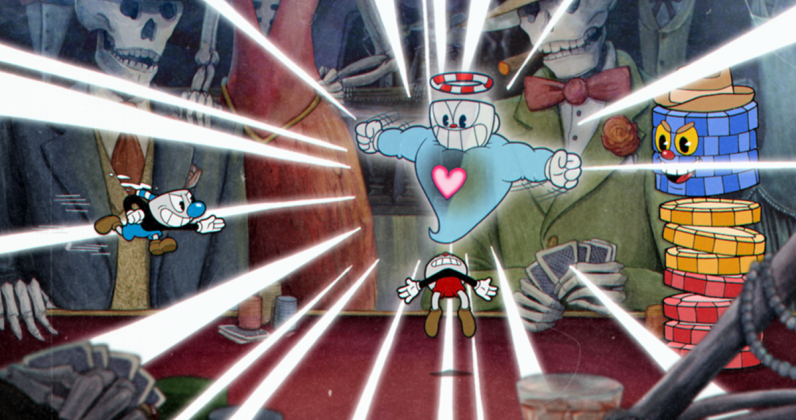 Cuphead is just the latest tete-a-tete in the unexpectedly cozy relationship between Nintendo and Microsoft, and the first revealed in yesterday’s Nindies showcase. The two were the first of the big three to incorporate cross-platform play, a long-requested but seemingly impossible feature that almost seemed like a cruel, Mean Girls joke on Sony. The company also tested Xbox Live on Switch with Minecraft, though Cuphead might be the first game to bring the service to the console in full. If it incorporates all of Live’s services — namely, matchmaking, chat services, and achievements — it’ll also stopper a gap in the Switch’s services, as most of Nintendo’s social functions are relegated to its app. Microsoft revealed last week it’d be bringing Live to iOS and Android, offering the same aforementioned benefits to mobile gamers. We’ve yet to see what that’ll really look like, but presumably this will go hand in hand with Project xCloud, the streaming service Microsoft revealed last year. This “Netflix of games” would allow users to stream Xbox games to phones, not unlike the recently revealed Stadia. But Xbox Live is one thing. The real fun will come if (when?) the company reveals plans to bring its Game Pass subscription service to the Switch, iOS, and Android. A persistent rumor is that Microsoft is working on a dedicated Game Pass app through which it’ll allow users to stream games on their Switches — a seductive idea, albeit one that sounds more like a pipe dream at this point.